Employee education for businesses is one of the most important parts of growing and becoming successful. In fact, it’s so important that companies spend over $160 billion per year on educating and training their employees. One area that often goes overlooked when discussing employee education is education for the higher levels of the business. Leader education is often woefully underfunded because many people assume that leaders are the ones meant to do the teaching. That assumption isn’t wrong but with the business landscape changing every single day, it’s important to always educate leaders as well as employees at other levels. Some of the greatest business leaders never stop learning new things – here’s why. When someone reaches the top levels of business, many people say they have “made it.” Of course, staying on top of the business world doesn’t mean resting on your laurels. Look at society at large for a moment. Society has been constantly changing as discussions about issues develop and continue to be discussed. Business is the same way. 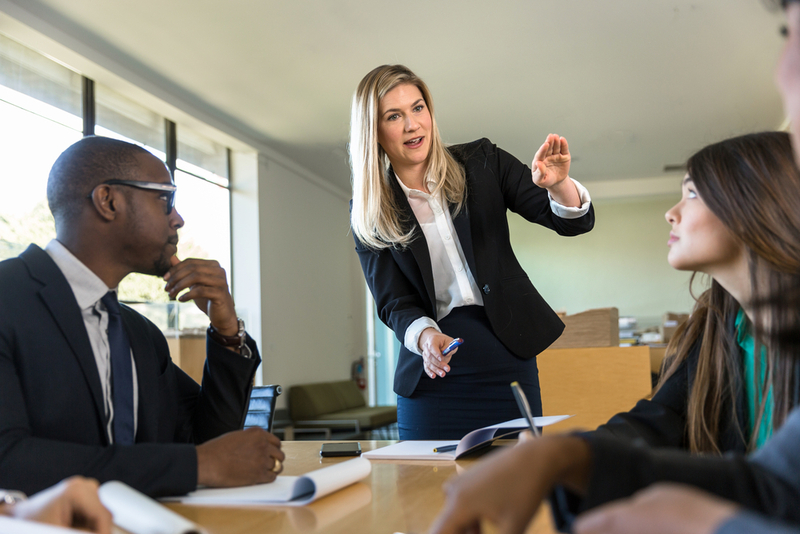 Leaders are expected to engage in important discussions and part of their responsibility to employee education should be to stay on top of what is happening so they can answer thoughtfully when engaging with employees or customers. With social media and the internet, discussions are happening more regularly. It’s not uncommon to see business leaders answering questions on Twitter or doing an AMA on Reddit. Do you know how to manage these new platforms for discussion? Are you ready to engage people where they are spending much of their time? You have probably heard the anecdote that your smartphone is more powerful than the massive, room-sized computers that NASA used during the moon landing. Technology is moving faster than ever and business leaders must always be learning to keep up. Artificial intelligence and robotics promise to change the world as we know it. In fact, it’s estimated that many of the jobs of the future don’t even exist yet simply because technology is not quite ready to make that leap. Leaders need to understand where business is heading so that they can be ready and prepared to hire the job seekers of the future who could change the face of the company entirely. Right now, we are already seeing innovations, such as blockchain technology making its way into the mainstream with financial institutions, governments, and supply chains adopting the technology for their business. Leaders must stay on top of new developments to ensure that growth opportunities don’t pass them by. There probably aren’t many employee education programs that simply say, “Everything is good as it is.” That’s not exactly an inspiring message. The truth is there is always room for improvement in business. Take a look at Apple, for example. Apple is the biggest company on the Forbes list of America’s largest public companies. Their stock is highly coveted by investors. Their smartphones are so popular that people will tune in year after year to watch their product launch and then sit in line to be the first to own the newest iteration of the iPhone. Apple is the definition of a cult brand with rabid, dedicated fans. And yet, despite all of that hype, Apple only holds 15% of the global smartphone market. The biggest company in America only holds 15% of the smartphone market despite the excited fans that will sit outside their store in rain, snow, or wind just for the chance to buy their product. Leaders are like the companies they are in charge of. No matter how good the sales numbers are, no matter how good the reviews are, and no matter how high the stock price is – there will always be room for growth and improvement. We mentioned earlier how much money companies will spend on employee education. This investment is meant to produce results and, surely, leaders expect their employees to take their learning seriously. However, if leaders are unwilling to learn and grow then how can they expect the people working for them to do that? People look to their leaders for guidance. If leaders set the expectation that learning is not needed then people will believe that learning is not needed. A leader who chooses to continue learning and educating themselves sets the tone within their organization. People will look to the top of the company and see someone who is supposed to be the best of the best striving hard to improve their base of knowledge. If the people at the top are always learning then surely the rest of us should too, right? Employee education is obviously an important part of the growth of any organization. If you are looking to invest in employee education for everyone at every level of your organization but are unsure of how to begin that process then you should speak with the experts on employee education. At Mooney Lyons, we understand business and the challenges faced by leaders every day. Our expert team of dedicated business advisors will work with you to help create a unique employee education plan that helps you grow into the future and beyond. Whether you want to help your leaders grow to become the best leaders they can be or you want to create an agile workforce that’s ready to adapt to the latest technology; we can help. Contact Mooney Lyons today and get our expert team working beside your business.